Kitchen and Bath Remodels, Granite ,Flooring ,Custom Build Outs. Ashwood Designs & Custom Homes is a design/build company passionate about creating living spaces with meaning. Homes are sacred spaces and should be treated as such, always remembering the clients' needs and desires. Ashwood Designs & Custom Homes believes in its ability to maximize the quality of our clients' experience through the development of unparalleled living spaces. Ashwood Designs & Custom Homes grew out of a lifelong passion for art and the primal gratification of building with your own hands. Its founder, Ross Huthmacher was first exposed to home improvement projects as a kid with his father, he then graduated to full-scale remodeling projects after the purchase of his first home in 2004. Over the course of the next ten years, Ross combined his business education, entrepreneurial spirit and remodeling experience to execute projects that are both functional and beautiful, reflective of an artist's deft touch. After six years of flourishing in an intensely competitive industry, Ross founded Ashwood Designs & Custom Homes in 2011...and has never looked back. Specializing in large remodeling projects and new construction, Ashwood utilizes CGI 3D design technology to bring to life our clients' dream living spaces, providing the visual that encourages honest and creative communication before construction begins. It is a privilege to provide our clients with total life-cycle projects or a la carte services. 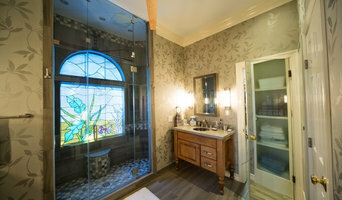 West Houston's Leading Kitchen & Bath Remodeler | 2x Best of Houzz! For more than 15 years, Smart Remodeling has provided solutions for its clients by providing them with the best, simple yet sophisticated home, bathroom, kitchen, remodeling project, and renovation. By utilizing our skills and experiences, and innovating design concepts and passion for beauty and perfection, Smart Remodeling has created a reputation for being an industry leader in Houston, Texas. For over 20 years, Royal Touch has set the professional standard to which other remodeler has compared. That’s professionalism combined with personal service and unequalled workmanship offers our customers complete satisfaction and pride of ownership. Floor Coverings and More is a family-owned home remodeling business that has been in operation in the Houston area since 1989. We pride ourselves in the quality of our work and the satisfaction of our clients. Let us help you with your remodeling plans. Give us a call or fill out our online appointment request form and we'll contact you as soon as possible! Seek Design & Renovation is an award-winning remodeling and restoration company. We provide over 45 years of experience in all phases of construction to the Greater Houston, Texas area. Our reputation has been established for the quality of our craftsmanship and customer service. We have built our legacy on total project management from start to finish. Seek Design & Renovation is a proud accredited business of the Better Business Bureau with a five-star rating. We are gold members of Angie’s List. Thanks to all of our wonderful client reviews we have been honored to receive the Super Service Award for 2014, 2015, 2016, 2017 and 2018. We have been voted by the Houzz community, as the winner of the 2017, 2018 and 2019 Best of Houzz for our exemplary customer service. Seek Design & Renovation offers complete residential remodeling, restoration, and commercial construction. We provide complimentary estimates; we are fully insured and extend a one year warranty on all our work that we provide to every client. We are a family owned and operated residential remodeling business. We have been working in the Houston area for more than 25 years. We take our work seriously, we are professional, and we strive to create a quality product. When our work is completed, we want it to be your personal showcase; something you can be proud of. Our mission is simple: Customer satisfaction is our primary goal! Please take a moment to read some of our customer testimonials to see what our customers think of our quality of service. We provide service to the following areas: Sugar Land, Katy, Houston, Rosenberg, Richmond, Fulshear, Stafford, Missouri City, Fort Bend County, and surrounding areas. Greg Hunnicutt has been working in residential construction for over 25 years. A natural born Texan, Greg lives in the heart of Houston with his wife and business partner, Susan, and their daughter. He specializes in custom furniture, cabinetry, and fine woodworking in addition to all aspects of custom remodeling. Susan Simmons has been a designer and artist her whole life. She is interested in highly functional spaces that are aesthetically pleasing. A native Houstonian, Simmons’ experience extends outside of Texas to Australia and South Africa, Detroit, Michigan and Marfa, Texas. Each place has left a distinct impression on her as examples for integrating art and life as one. Simmons holds an MFA from Cranbrook Academy of Art. Hunnicutt Construction is a residential general contractor that specializes in historic home renovations and design planning. We offer small boutique design services for kitchens and baths in addition to extensive experience working with area architects and engineers for larger residential remodeling projects. Our size allows us to work with a range of select clients so each project is followed with detailed attention and high customer service. Based in Houston, Texas, Hunnicutt Construction has over 25 years of industry experience. We are a small company with a tried and true team of subcontractors. 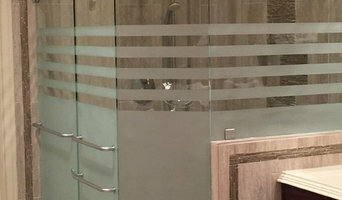 Premier Kitchen, Bath, & Home Renovation in Harris County With 30+ years’ experience in home renovations, we offer our customers the highest quality design & personal service. We strive to transform your home into a warm space immersed in family gatherings with a feeling of comfort, warmth, and relaxation. We always use the highest quality products and materials giving you a superior finish. We will strive to maintain a clean and safe job site throughout you project to ensure you have great remodel experience. Our experienced staff and partners will treat every job with professionalism, courtesy, and attention to detail. Maintaining our high-quality standards by holding each other accountable throughout the project. 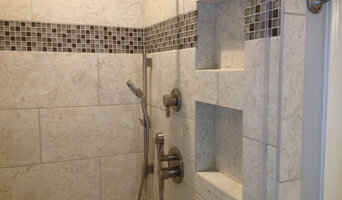 We provide full service renovations specializing in kitchen and bathroom remodels. We are also very accomplished in porch and patio covers, outdoor kitchens, room additions, and replacement windows. Contact us because we would love to see your dreams become a reality! Licensed Texas kitchen and bath remodelers are contractors who specialize in altering the structure of an existing space, rather than building one from the ground up. Because he or she must deal with a previous builder’s work, the job can get more complicated than new construction. You might wonder why they often specialize in both kitchens and bathrooms, but if you think about those two spaces, they actually have a lot in common. Kitchens and bathrooms include an abundance of fixtures that require careful planning and installation, including sinks, faucets, tubs and toilets that all need water hookups and drainage. They also use similar materials, such as tile and stone for countertops and flooring, due to the nature of their use. So it makes sense that Richmond kitchen remodelers and bathroom remodelers be one in the same. A bathroom or kitchen remodeler translates architectural plans from page to reality; some are also trained to provide design services so that you don’t have to hire a separate pro. Like a general contractor, a kitchen and bathroom remodeler in Richmond, TX is responsible for hiring and supervising subcontractors and providing materials when necessary. They also should have a thorough knowledge of Texas building codes and construction-related legal issues, as well as current design and product trends. Here are some related professionals and vendors to complement the work of kitchen & bath remodelers: Woodworkers & Carpenters, Kitchen & Bath Designers, Interior Designers & Decorators, Architects & Building Designers, General Contractors. Find a Richmond kitchen and bathroom renovator on Houzz. Narrow your search in the Professionals section of the website to kitchen and bathroom remodelers in Richmond, TX. You may also look through photos of Richmond, TX spaces to find kitchens or bathrooms you like, then contact the bathroom or kitchen remodeler who worked on it.